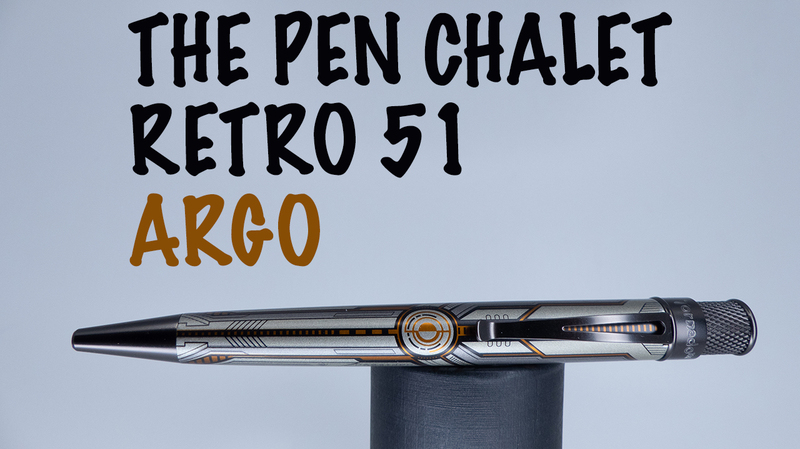 Pen Chalet's Retro 51 Argo | Inkdependence! 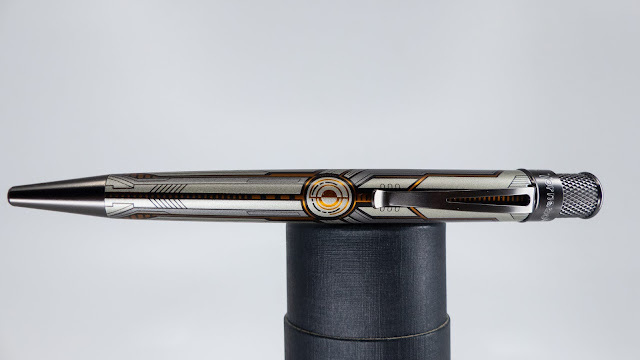 The Argo is a new exclusive pen from Retro 51. These spacey pens are a future-take on ship that Jason sailed through Green mythology in search of the Golden Fleece. These futuristic pens come in two flavors. The orange that Pen Chalet sent out for me to review, and a really cool bright green. I had to go for the orange, but that green is really cool. Check it out on their site. Check this one out below and then don't dilly-dally if you want one of these. There were only 250 in each color, and there aren't that many left of either at this point. The first thing I noticed about this pen is that it looks better in person than it did in the pictures that I'd seen. The body is a slightly metallic, taupe-gray color that's a little hard to describe. The orange is much more reflective than I thought it would be, too. In the light it is almost as if it's lit from within. I hope space ships are this cool in the future. 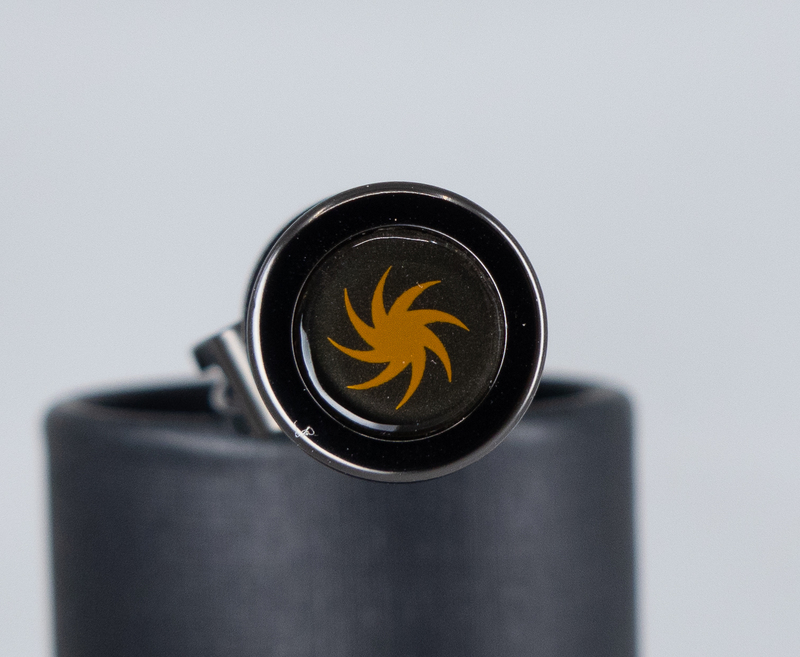 The top is sort of sunburst, but it could also be the flame from an engine. Either way, I really like a cool finial, and this one is pretty sweet. 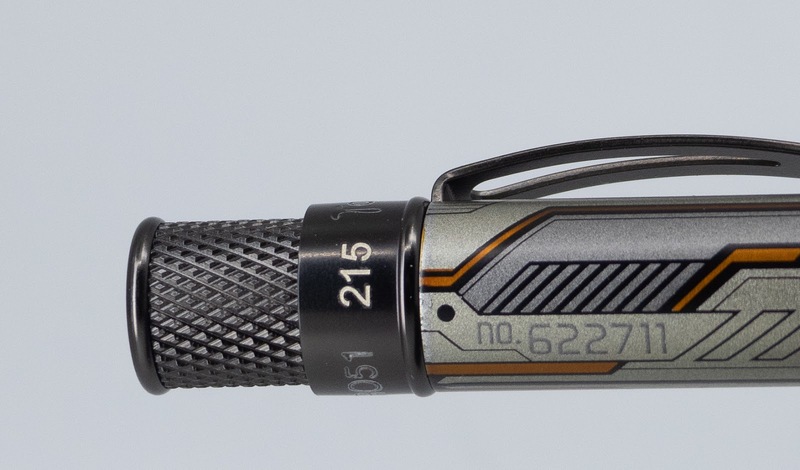 Each pen in the set is individually numbered along the band near the finial. Watch the video below to see it unboxed, examined, and compared to a couple of other pens. A few of these essays even get reproduced on-line and turn out to be simple in your teacher to catch and dismiss as easy plagiarism.If you want to learn more about QandA then please click here or visit our website.